This is the way to write. My view at BYU, getting geared up to judge for the Scholastic writing competition a couple weeks ago. 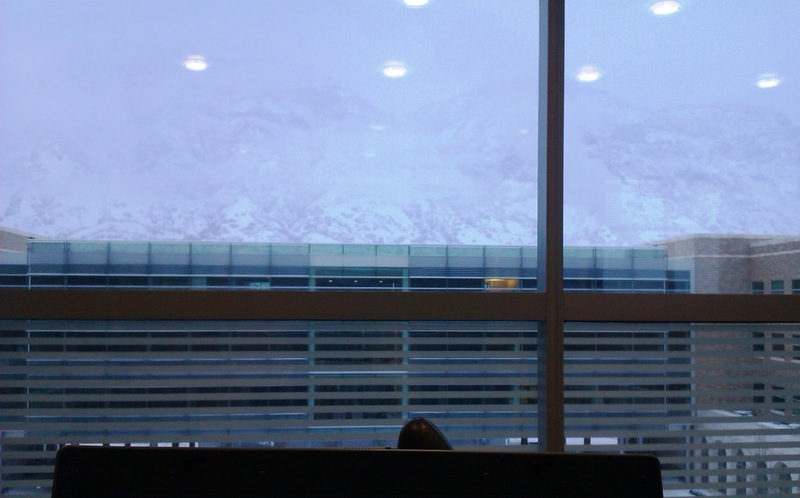 It looks like an ominous day at BYU! Did the weather find its way into your writing?